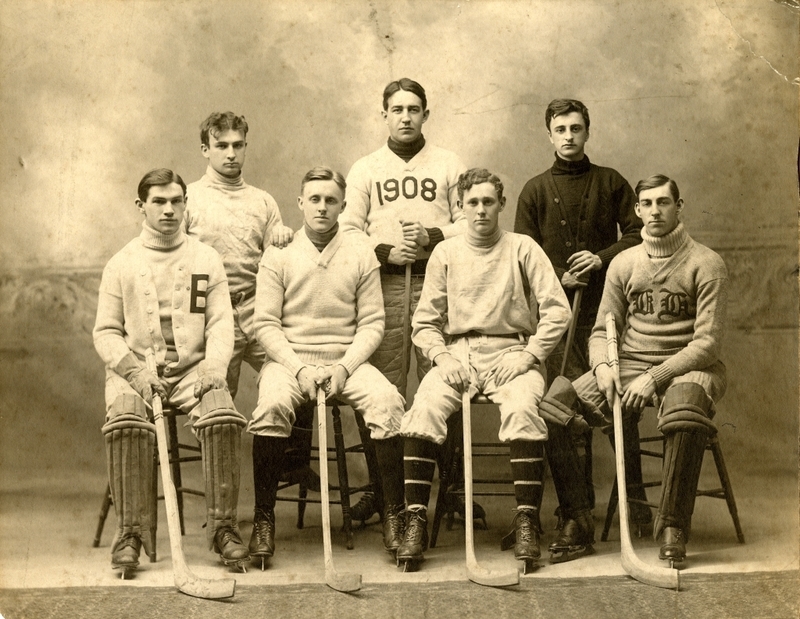 Group picture of the 1907 hockey team. Standing, left to right: Glenn A. Lawrence '07, Charles N. Abbott '08, James F. (Hamburger) Claverie '10. Seated, left to right: George A. Bower '07, Arthur W. Hughes '09, Kenneth H. Dresser '09, Ralph W. Smith '10.